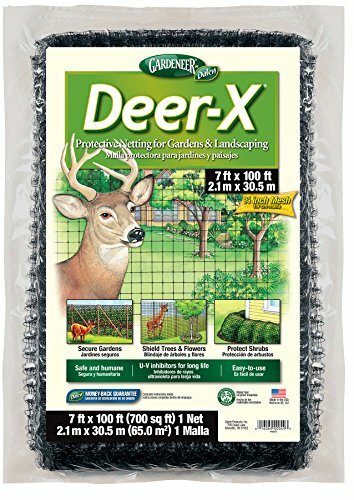 Deer-X® helps protects shrubs, trees, and vegetable gardens from destructive deer. The netting is a strong and durable 3/4" polypropylene mesh with UV inhibitors for longer product life. This netting provides an easy and affordable alternative to metal fencing.